Being another faceless group, the record company assembled a bunch of people who even toured England (I saw them at the California Ballroom in Dunstable!) 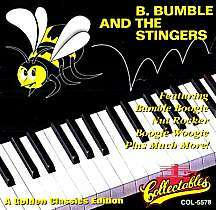 masquerading as B Bumble & the Stingers. "They were just a bunch of slobs off the street - just horrible kids who had nothing to do with the record."